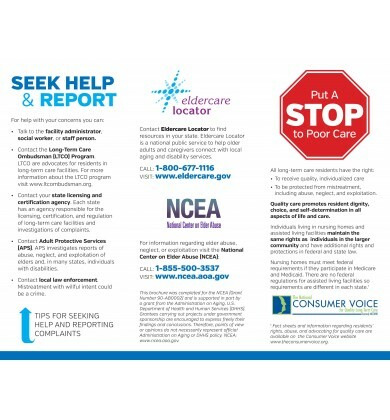 Consumer Voice's “Put a STOP to Poor Care” brochure, produced in collaboration with the National Center on Elder Abuse (NCEA), includes indicators of quality care, warning signs, red flags of potential abuse, and advocacy tips to address concerns. 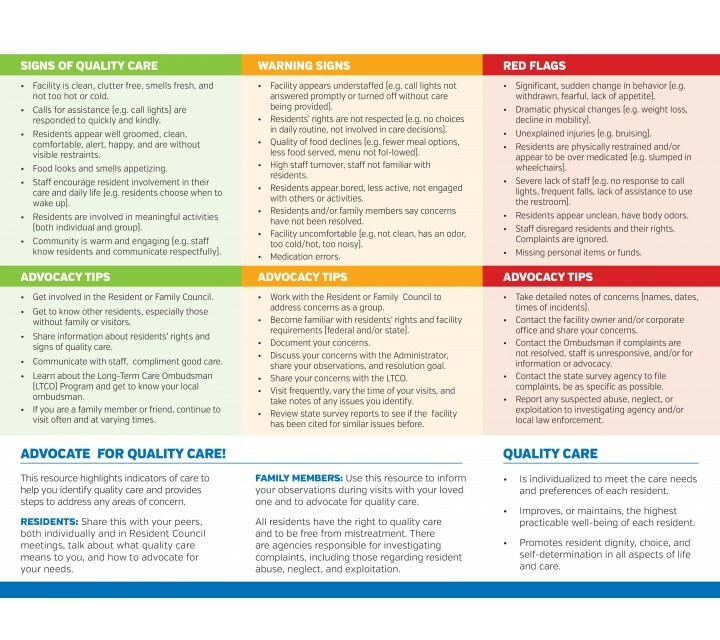 Regardless of where an individual receives long-term care services and supports they are entitled to receive quality, person-centered care, and this brochure was designed to help consumers understand quality care, learn how to identify issues, and gain action steps to advocate for the care they need and deserve. 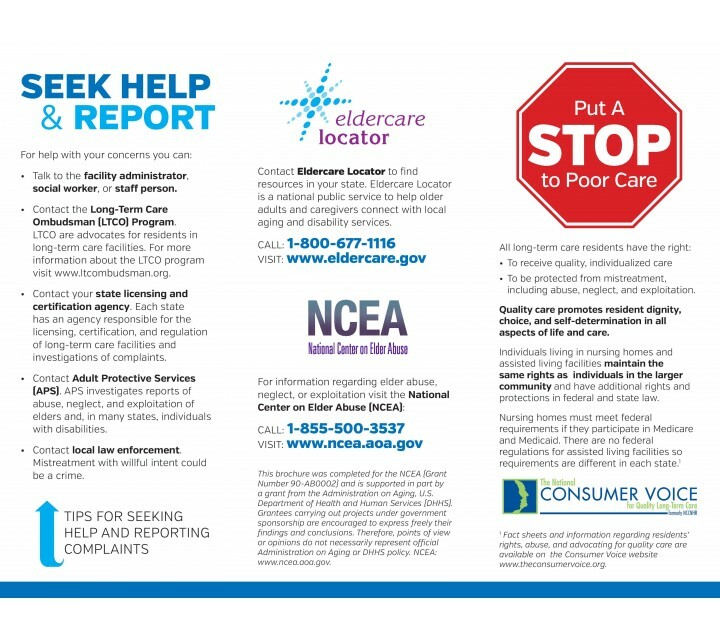 Long-term care ombudsmen (LTCO) could distribute this brochure during their visits, use it as a training tool during in-service training for facility staff, and share it with members of Resident and Family Councils.